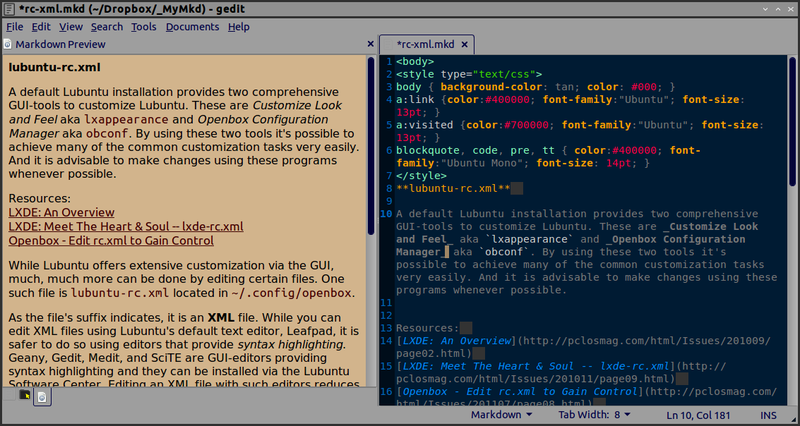 I have gedit 3.6.2 (Lubuntu 13.04) and I've installed a plugin from gedit-markdown: support for Markdown language in gedit that allows me to preview markdown text in a bottom or side panel within gedit. I want to know if it's possible to change the background color of the lower panel from white to something else like #999. 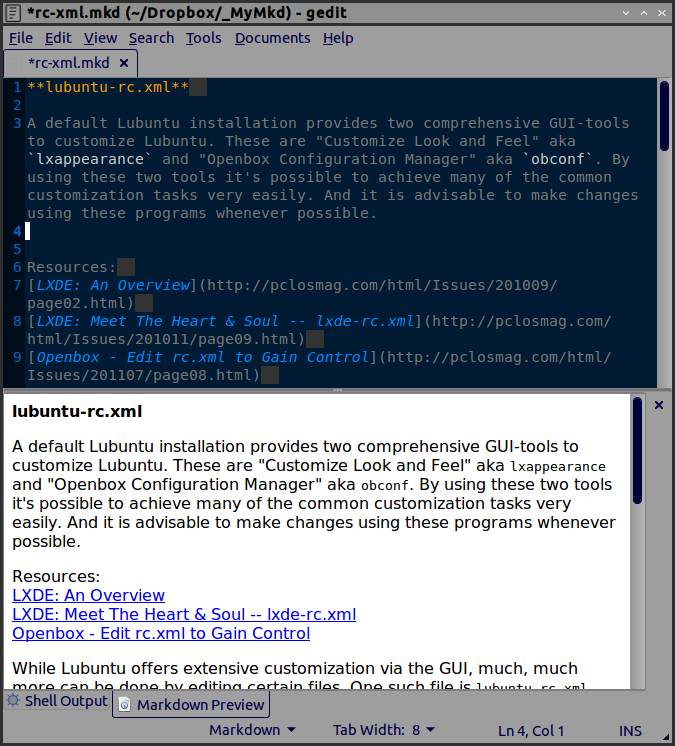 For the upper (main) panel, I use a slightly modified Cobalt color scheme (/usr/share/gtksourceview-3.0/styles/cobalt.xml). Or try to change browser's default CSS for HTML elements. 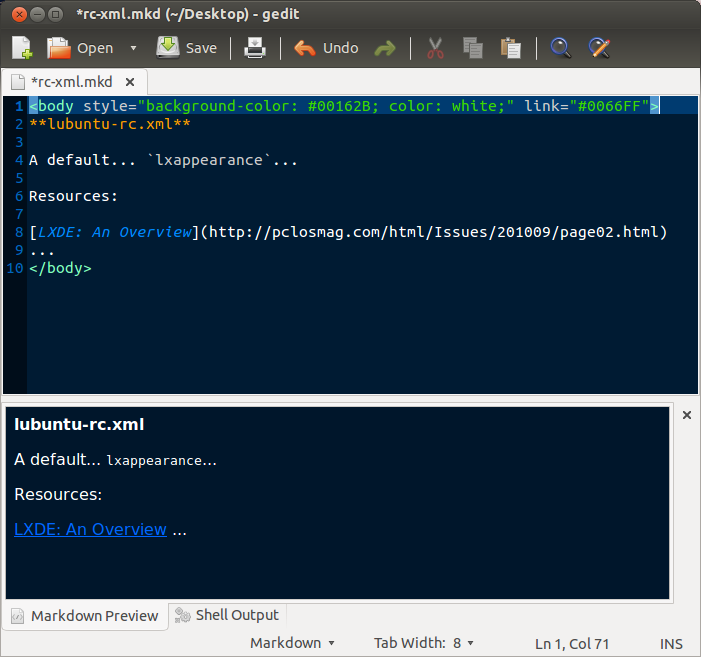 How to install the gedit markdown-preview plugin on 14.04?